Upon entering, the hallway with built-in storage leads onto the bright and comfortable lounge to the front with a glazed door continuing onto the modern fitted kitchen. 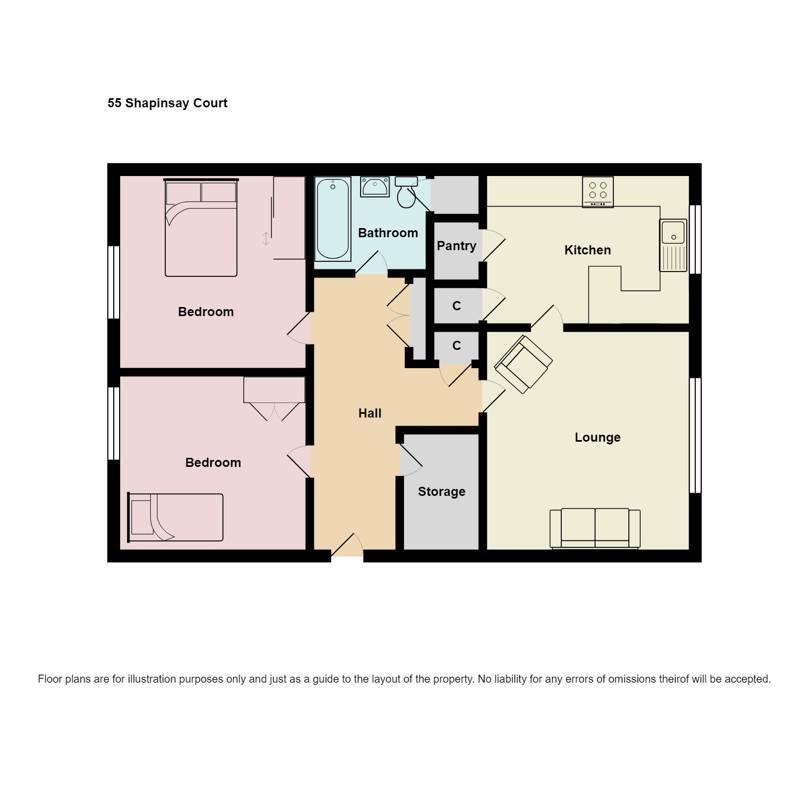 There are two well proportioned double bedrooms, a practical and versatile box room, and a bathroom with shower over bath completes the layout. 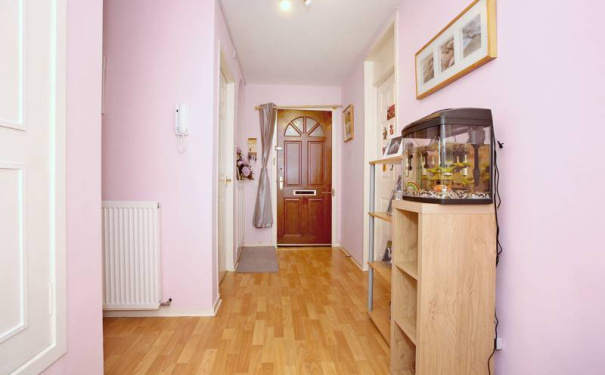 The property also has the shared use of a cupboard on the landing and parking is available in the residents' car park. 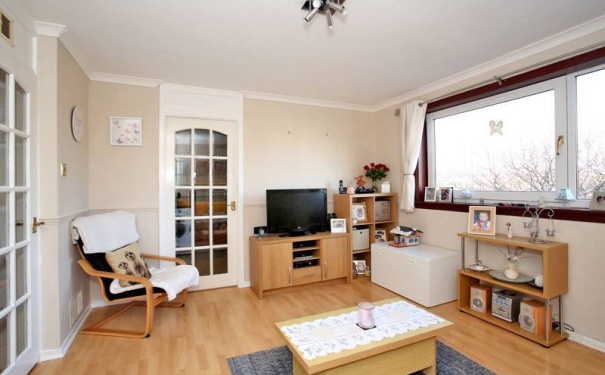 Viewing is recommended to appreciate the good dimensions on offer in a popular location. 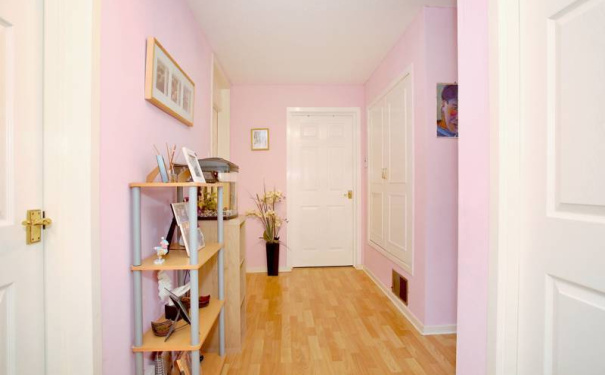 Hall Spacious 'T' shaped hallway with fresh décor and laminate flooring. 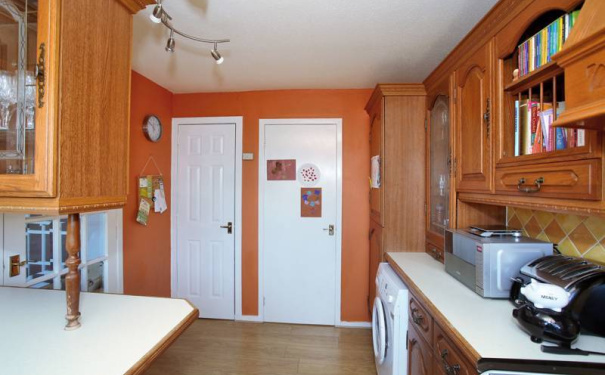 Two deep cupboards provide an excellent level of storage and white panelled doors lead to the accommodation. Lounge 13'4" x 11'9" [4.09m x 3.63m] approx. 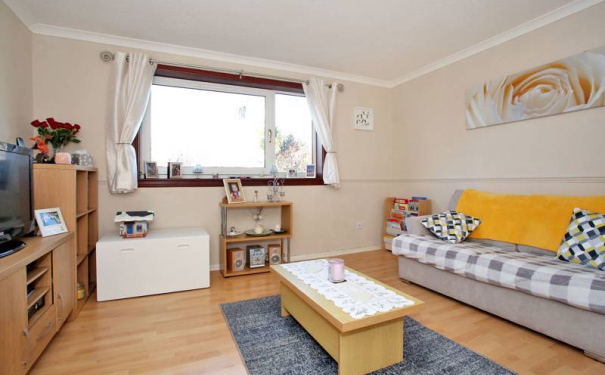 Light and airy lounge with a large window overlooking trees to the rear, tastefully presented in neutral décor with laminate flooring. The good dimensions allow for a range of furniture and a glazed door continues onto the kitchen. Kitchen 12'1" x 8'8" [3.71m x 2.68m] approx. 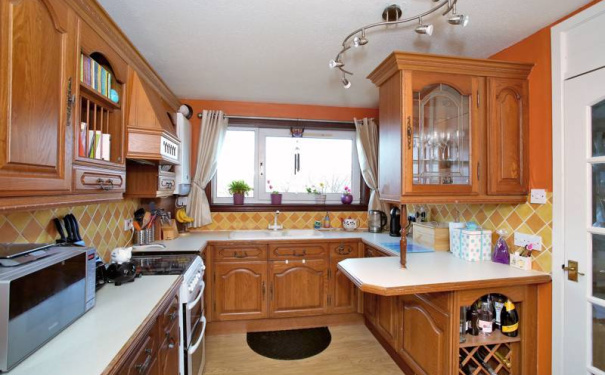 Spacious kitchen fitted with a good range of wall and base units incorporating glazed units, plate racks and wine rack. There is a 1.5 composite sink placed in front of the window, gas cooker, space for fridge/freezer and washing machine. Two deep cupboards provide plenty additional storage. Double Bedroom 1 11'7" x 11'2" [3.56m x 3.43m] approx. 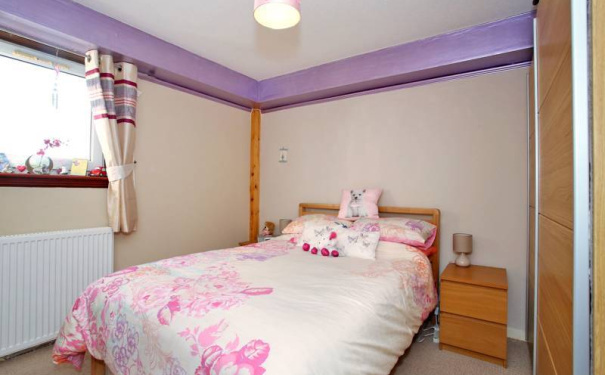 Well proportioned double bedroom located to the front of the property with ample floor space for a range of bedroom furniture. Presented in neutral tones with lilac accents and complementing carpeting. Double Bedroom 2 11'3" x 10'6" [3.44m x 3.22m] approx. 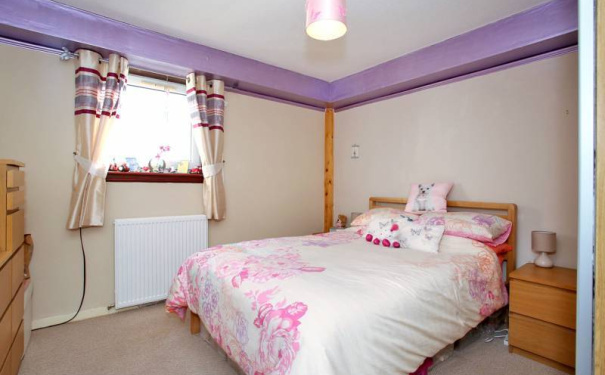 Second double bedroom with a good sized window overlooking the front. 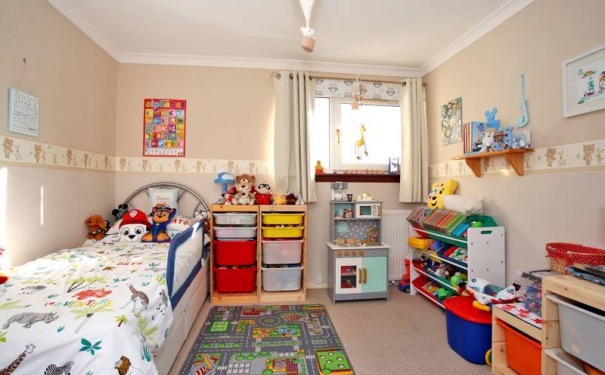 Once again there is ample floor space for required bedroom furniture and the bedroom has neutral décor with carpeting. Box Room 6'8" x 5'0" [2.09m x 1.55m] approx. Most practical and handy box room which is currently being used as a utility area. Bathroom 6'8" x 5'8" [2.07m x 1.77m] approx. 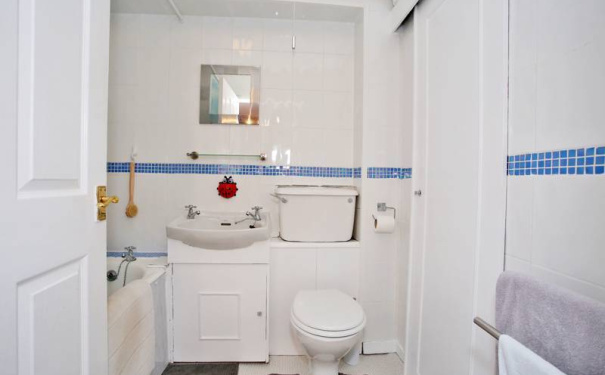 Centrally set, the fully tiled bathroom is fitted with a three piece white suite comprising w.c., wash hand basin in vanity unit with cupboard storage below and bath with electric shower attachment. A cupboard with sliding doors provides slatted shelf storage and the room has white and blue décor with co-ordinating vinyl flooring. Outside The property has the shared use of a cupboard on the landing. Communal grounds with drying area. Residents' car park. Notes Gas central heating. Double glazing. EPC=C. 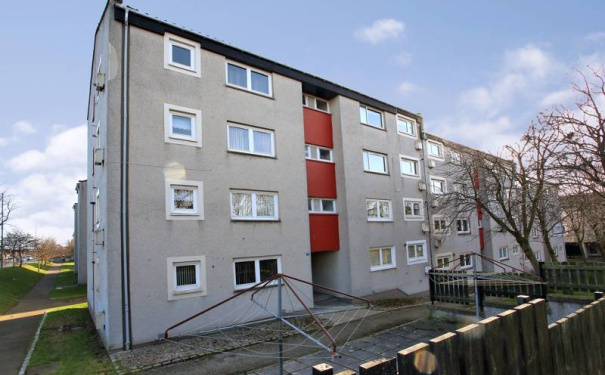 The property will be sold inclusive of all fitted floor coverings, light fittings, curtains and gas cooker. 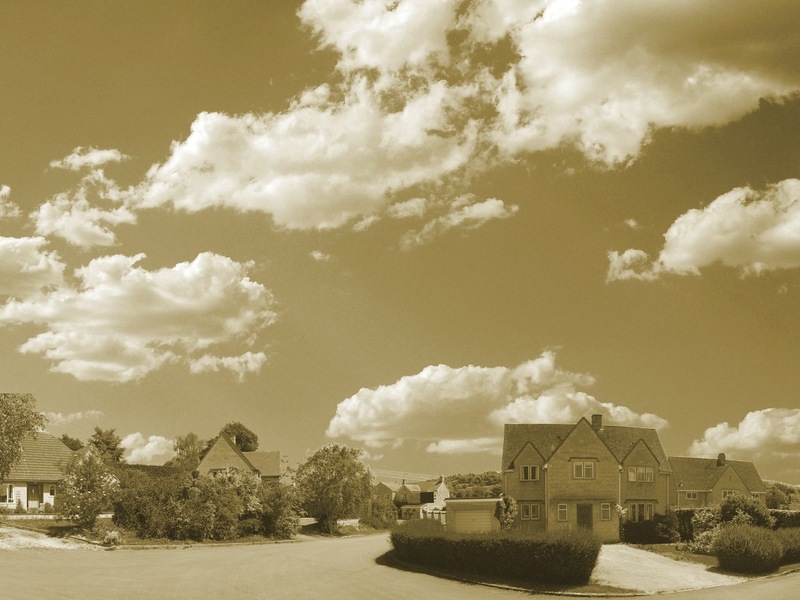 Sheddocksley is well served by a range of local shops along with other amenities and there is public transport available to the city centre nearby. 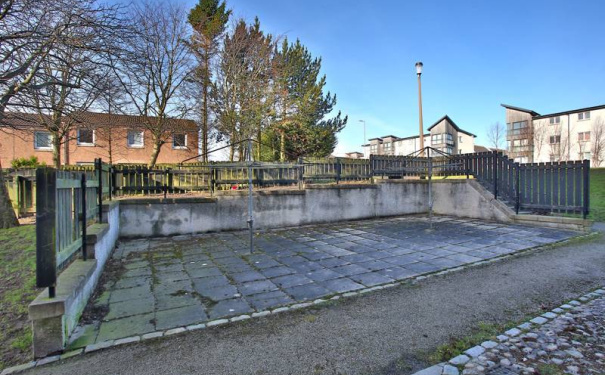 The property isparticularlyconvenient for those working attheAberdeenRoyalInfirmary and Woodend Hospitals.The Aberdeen ring road is a short distance away making travelling both north and south of the city relatively easy. 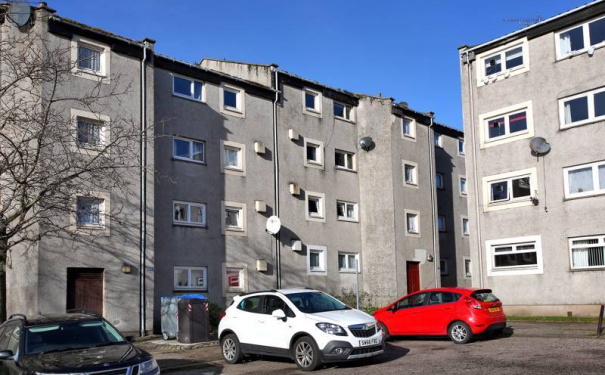 This spacious second floor two bedroomed flat with residents' parking is located in a well established and convenient residential area, well placed for local amenities and transport links across the city. Offering light and spacious living accommodation benefitting from gas central heating and double glazing, the property also has an excellent level of storage throughout. The building is protected by a secure entry system and there is a residents' car park.